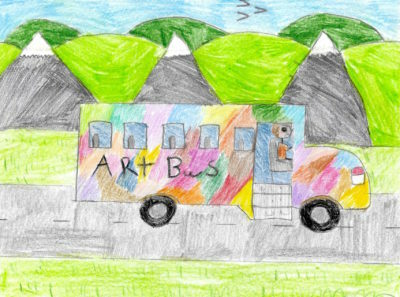 The Arts Bus is a 20+ years old green former school bus that has traveled thousands of miles over bumpy country roads to get art into the hearts, hands, and minds of children in Vermont. But don’t let that fool you — the Arts Bus packs a pretty big wallop! These are the Major Programs it brings to children in Central Vermont, which are customized each year based upon the needs of the community, sponsorship and funding, artists, materials, weather and road conditions. NOTE: 2019 Programming is being finalized and will be published soon! Exploring the Arts is the Arts Bus Project’s general education program. It provides pre-school and school aged youth (ages 2-18) with ongoing activities and one-time classes in visual arts (painting, collage, paper arts, mask-making), music, movement, yoga, theater arts, crafts (ceramics, woodworking, fabric arts), storytelling and writing, and a wide range of learning projects (e.g. studying and creating Egyptian obelisks, prehistoric cave art, Maori war dances, Greek theatrical masks, and Chinese calligraphy). 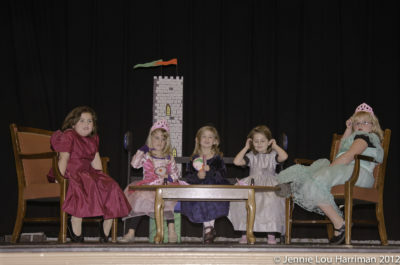 The Arts Bus Drama Club introduces children to the long-term benefits of participating in the performing arts (building self-confidence, enhancing self-esteem and self discipline, developing creative thinking, learning leadership and teamwork skills, improving oral and written communication skills, learning all aspects of theater production, and having fun) by providing concentrated training sessions culminating in public performances. 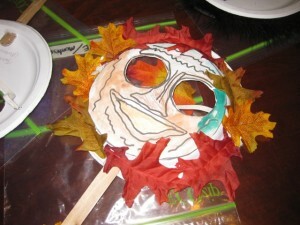 Children write the plays, act, design and build sets, costumes and props, and experiment with theatrical make-up. Legacy Arts, inspired by Elliot Wigginton’s Foxfire Journal Project of the 1960s, assembles lessons that come from the life of our children’s grandparents and great-grandparents. 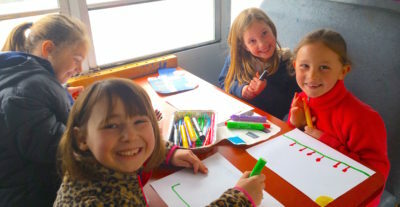 Because the Arts Bus serves a rural area, we feel itis important to introduce the kids to local ways of the past which have evolved into the life they experience today. We started in 2012 with a highly successful cheese making unit taught by local farmers, and funded by the Windham Foundation. The Legacy Arts program offers an opportunity for intergenerational learning, and the Arts Bus will be partnering with local artisans, crafts persons, musicians, gardeners and farmers in its development. Areas of future study and exploration include storytelling, fiddling, soap making, herb gardening and candle making. Creativity Training for Child Care Providers and Parents During 2011, through a grant from the Henderson Foundation, the Arts Bus Project began working with child-care providers and parents, teaching them how to help the very young discover the creativity inside them. Our success with a series of exploratory workshops convinced us to make creativity-training for adults one of our primary programs. Creativity generating activity in child-care environments is of paramount importance, and providers have let us know that they are keen to bring enriching experiences to the children in their care. We have held over 35 workshop sessions focused on early childhood development at sites around the region. Using proven cognitive-behavioral methods, and modeled on best practices, our staff coaches participants in how to seek and hold a child’s attention, encourage cooperation within a group, and work with challenging, angry, and low-concentration children. Mindful of pinched provider and family budgets, we stress, in all workshops, the use of low-cost and no-cost materials. Participants receive professional development credit for attending. 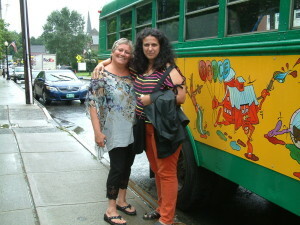 In September of 2011, immediately after Tropical Storm Irene hit the towns of Central Vermont, the Arts Bus staff began focusing attention on giving affected youth and their families in Bethel, South Royalton, Stockbridge and Rochester an outlet for examining and expressing the traumas they were experiencing — loss of homes, possessions and security. 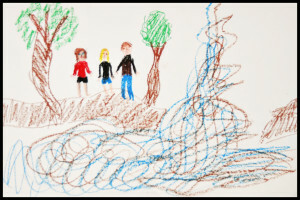 Using drawing, poetry, journaling, theater production and the creation of worry dolls and accordion books, the Arts Bus staff has encouraged young people to access and express feelings and fears associated with the storm and its aftermath. The Mask Making Unit explores the use of masks for ritual, theater and self-expression. Past and unfamiliar traditions and cultures are studied, original plays are created, and kids’ identities and emotions are investigated. This unit gives children an opportunity to experiment with a number of mediums, including papier mache, clay, recycled materials (plastic, paper, aluminum foil) and found materials (feathers, sticks, pebbles, leaves). The Environment Unit (2013-14) A new conservation program called Arts Bus Eco-Kids has been designed to help model conscientious conservation choices for children in the early stages of their intellectual development. Using visual arts, woodworking and writing, the curriculum fosters an interest in ecological behaviors. 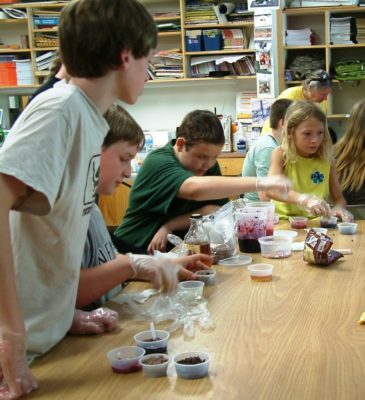 The use of discussion leaders, artists-mentors and hands-on activities (designing and constructing home recycling centers, building bat houses and learning about composting) will provide children with an opportunity to explore creative ways in which they can interact constructively with their own natural environment.